Meet your new favorite flying toy! 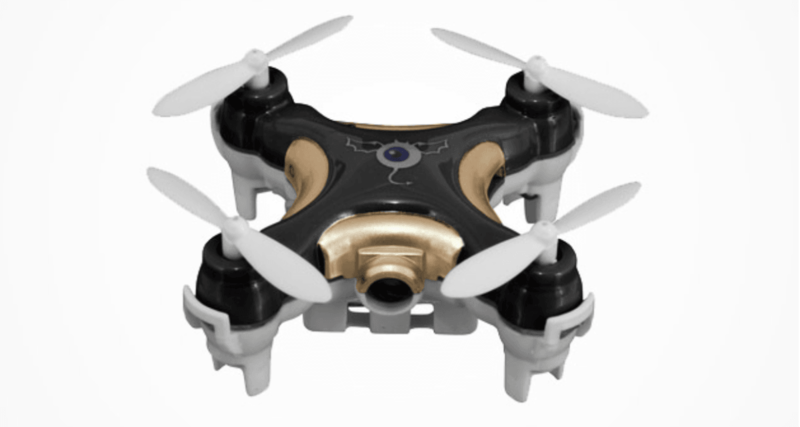 The Cheerson CX-10C Nano Drone with Camera + 2GB Micro SD Card is a tiny quadcopter is small enough to rest on the tip of your finger, and can easily maneuver through small spaces with acrobatic finesse while recording crystal-clear video and photography. It’s tons of fun for beginners and drone enthusiasts alike, and for a limited time TNW readers can pick one up for just $34.99. The Cheerson CX-10C Nano offers a gentle learning curve, so even if you’ve never flown a drone before you’ll be stunt-flying in no time – and getting great footage to transfer from your 2GB microSD card. Users can easily control the drone even in the tightest spaces via side flight, hover, flip and hand launch capabilities. You can even give your friends some UFO-speculation excitement at night, thanks to its built-in LED lights.